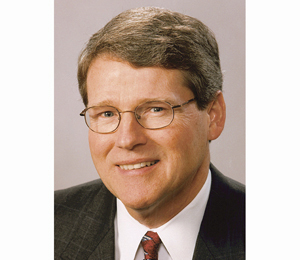 Michael Wallace retired in 2011 as vice chairman and COO of Constellation Energy and chairman of Constellation Energy Nuclear Group, which includes nuclear generation of 3,869 megawatts, three sites, and five units in two states. Previously, Mr. Wallace co-founded Barrington Energy Partners, LLC, a strategic consulting firm specializing in energy industry transactions and advisory services. Before joining Barrington Energy, Mr. Wallace had more than 25 years of senior executive and utility operations experience, including overseeing operations of 12 nuclear generating units as senior vice president and chief nuclear officer for Unicom/ComEd of Illinois. Mr. Wallace is deeply engaged as an advisor to governments and industry on matters of nuclear energy security, including service on the National Infrastructure Council (NIAC) – which advises the President on homeland security matters – as well as the Cyber security Subcommittee of the Homeland Security Advisory Council (HSAC) and the Steering Committee of the Electricity Sub-Sector Coordinating Council (ESCC). Mr. Wallace is a former naval officer, having served in the U.S. Navy nuclear submarine force.